Pebble, the company behind the first commercially successful smartwatch, seemed to have a bright future. However, in early December 2016, the company announced it was shutting down. Below, we’ll take an in-depth look at the brand’s history, its rapid rise to success and the factors that brought about its ultimate demise. Pebble began attracting attention via crowdfunding in 2012. During its first Kickstarter campaign, the original Pebble smartwatch raised more than $10 million with help from 69,000 backers. Since the original target for that effort was only $100,000, it seemed obvious the market was ripe for what Pebble offered consumers. The Black Friday shopping holiday got more enticing for tech-savvy, deal-conscious consumers when the Pebble watch arrived on Amazon. Besides merely offering the Pebble, the e-commerce retailer offered a 15 percent discount on the watch to its consumers. Best Buy became the first brick-and-mortar outlet to sell the smartwatches, eventually followed by Target. The former brand’s physical stores and online inventory quickly cleared out in summer 2014 as people seized the opportunity to buy Pebble products outside Kickstarter. However, people were still relying on the crowdfunding site, too. Pebble’s second Kickstarter campaign — which occurred in 2015 — broke a record on the first day by raising $1 million in only 49 minutes. A week later, the crowdfunded project became the most-funded campaign in Kickstarter’s history, racking up more than $13.3 million in pledges. Many people resisted wearing smartwatches because they didn’t like the utilitarian style common to most of them. When Pebble released its Pebble Time Round watch for pre-order in the fall of 2015, it started changing perceptions about smartwatch styles. The watch featured several bezel options and was reportedly three times lighter than the smartwatch Apple had available at that time. For many people, the most important aspect of this new Pebble offering was its attractiveness. Unlike other smartwatches with square faces, this one had a round face. That stylistic choice made them comparatively more appealing to a large segment of the market. Even before the original version of the Apple Watch was available to buy in April 2015, analysts began wondering if the Pebble would continue enjoying the same amount of marketplace dominance. They carefully compared features and mentioned the Pebble’s battery life and reasonable price as two perks, but weren’t convinced those aspects would be enough to stop Apple from overtaking the much smaller company. Early on, Pebble Technology Corporation CEO Eric Migicovsky was confident his Vancouver-based company and its products would edge out Apple and Google in the smartwatch market. He said Pebble’s open development platform lowered the barrier to entry for IT professionals who wanted to make apps for the smartwatches. Migicovsky also mentioned the Pebble operating system was the only one in the world purpose-made for smartwatches. He assumed competition would drive overall interest in smartwatches, which would help his company. Unfortunately, Migicovsky was overly secure in his assertions. By the start of 2015, Pebble had sold a million watches, but that success was short-lived. Even though some reviewers gave Pebble watches favorable reviews when comparing them against the Apple Watch, it didn’t take long for Apple to show the dominance many tech-savvy people assumed it would. Statistics from Juniper Research released at the beginning of January 2016 found that even though Apple’s product came out in spring 2015, it still accounted for 52 percent of global smartwatch sales that year. In other words, the Apple Watch captured marketplace attention from the start, and that reality is perhaps one of the first signals of Pebble’s eventual downfall. Like many companies working with new products, Pebble experienced some supply chain issues beginning with the items associated with its first Kickstarter campaign. The first products were supposed to ship in September 2012, but were delayed until January 2013. Representatives from Pebble stayed in touch with backers by publishing regular updates on the campaign’s Kickstarter page, assuring consumers there were Pebble team members on the ground in Taiwan and endeavoring to address the issues that prevented prompt shipments. However, the timing of that first setback was particularly unfortunate. Since it happened in the fall and lasted beyond the holiday season, the people who planned to give Pebble watches as holiday gifts were out of luck. Sources also report supply chain issues resurfaced in 2015, but for a different reason. Pebble allegedly had difficulty paying its supply chain members throughout that year. When representatives called to inquire about unpaid purchase orders, those communications went unanswered. In May 2015, rumors of Pebble’s financial woes abounded. Reports claimed the difficulties required the company to take out a $5 million loan and $5 million line of credit from a Silicon Valley institution. Analysts agreed the smartwatch market was still new, and other manufacturers also experienced financial strain when the expected worth of the smartwatch sector failed to materialize. Pebble continued to release updated watch models with numerous improvements in 2016. Some of the perks associated with the accessories included water-resistant engineering, a heart rate monitor and a step tracker, not to mention a 10-day battery life on some options. However, the impressive products showcased that year did not tell the whole tale of the company’s status. In March 2016, the company announced it was laying off 40 people, or a quarter of its workforce. When confirming the cuts, Migicovsky said his company needed to be careful with cash and had its sights set on a long-term plan. Even so, the extent of the layoffs worried Pebble’s fans — for a good reason. Sources say Citizen, another watchmaker, was interested in buying Pebble for $740 million in 2015. Later, Intel offered $70 million. Migicovsky refused both offers at the time, but sadly, when he did eventually sell, the amount was less than either of those prospects. In December 2016, Fitbit, another brand in the wearables market, announced it was acquiring Pebble’s software, but wouldn’t take over with hardware upgrades. Some estimates said the sale was for around $40 million. However, when Fitbit’s Q4 2016 report came out, it revealed the total was only $23 million. 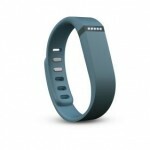 Fitbit gained prominence for its fitness trackers. Some people wondered if the acquisition represented the company’s desire to make a larger dent in the smartwatch market and use Pebble’s technology to help it succeed. Fitbit released a smartwatch — the Blaze — in 2016, but was still focused on fitness-centric gadgets. Pebble devotees mourned after hearing about the sale. Even before knowing Fitbit bought the company for an incredibly low price, they feared this was the start of the Pebble brand disappearing forever. The brand’s fans weighed in on social media feeds and discussed how this was yet another example of a corporate takeover. Even though Fitbit isn’t a massive company, people couldn’t forget Pebble’s small team and initial success. They also appreciated how Pebble took user feedback into account and made obvious improvements based on the opinions given. Pebble’s fanbase was arguably one of its most valuable assets, and the Fitbit team didn’t overlook Pebble supporters. The company did its best to put a positive spin on an event many realized was inevitable: the discontinuation of support for Pebble items after June 30, 2018. In a blog post, Fitbit reminded users it had committed to “preserving the Pebble user experience through 2017,” so the announcement of support through mid-2018 was an extension. Last April, developers released a software tweak to equip the devices to continue working beyond 2017. However, it caused the functionality of some key features — including messaging and weather forecasts — to cease. Those rely on cloud server functionality, which stopped working after Fitbit shut down Pebble’s servers. It should come as no surprise to anyone familiar with marketing techniques that Fitbit’s messaging about no longer supporting Pebble devices included a pointed push to steer Pebble users toward the Fitbit Ionic instead. The company even offered a $50 discount to Pebble owners who provided a valid serial number. It also provided a bulleted list of reasons those consumers would love transitioning to Fitbit products. People speculated Fitbit bought Pebble’s technology because it wanted to compete with Apple. However, in addition to conquering a well-established brand, Fitbit also has to contend with the slow consumer adoption rate of smartwatches. Some people love them, but others find it difficult to justify the cost. They might also decide their smartphones — or voice-activated speakers — do everything smartwatches can and more. Perhaps the most valuable lesson for all startups to remember is that early success does not always accurately predict the future. When Pebble took Kickstarter by storm and triggered high demand in physical stores and on Amazon, the company’s future looked promising. Despite some publicized shortcomings, the sale of Pebble’s assets and the eventual stoppage of support for Pebble products were not on tech fans’ radars. Even so, those unfortunate events occurred. When they did, Pebble users everywhere realized that when they wanted to upgrade their watches, it wouldn’t be possible to buy another from the brand, so they might have to adjust to supporting a competitor.